The American Association of Orthodontists and Dr Comizio recommend children visiting visiting the orthodontist at seven to eight years old for their first orthodontic screening. This is the age that the first signs of orthodontic "trouble" start to show, as the teeth begin the change from primary (baby) teeth to permanent (adult) teeth. By this age, most children have a mix of baby teeth and adult teeth, making it helpful for the Dr. Comizio to diagnose and plan the best strategy and timing for treatment. More importantly, occasionally some interceptive orthodontic treatment (we call "damage control"!) prior to braces can help head off some developing growth and development problems of the permanent teeth and jaws from becoming worse, and that can help avoid more complicated treatment needed later. Dr. Comizio and our Comizio orthodontic team believe in making the orthodontic experience as easy possible for your entire family right from the start. Our Complimentary New Patient Visit is where it all begins. Not just a quick take a peek "consult", your Complimentary New Patient Visit at our office is a specially designed 45 minute meeting fully dedicated to our new patients. You will first meet with our specially trained Orthodontic Treatment Coordinator (kind of like an orthodontic concierge!) to familiarize you more with our practice, and with each other, and take a tour of our specially designed office. Then you will meet Dr. Comizio for a thorough orthodontic examination which will include special digital orthodontic x-rays and imaging to make sure that every and all aspects of your orthodontic considerations are covered so that he can discuss accurate and complete recommendations and the best strategy and options designed for you. Dr. Comizio feels that all that is included in our Complimentary New Patient Visit is extremely important to help you in the best way possible to develop the best strategy and treatment options for you. Your Orthodontic Treatment Coordinator will give you a copy of the customized treatment report outlining the visit that will be forwarded to your dentist, as well as specific written financial options for the type of orthodontic treatment selected. Younger patients who are not quite ready for orthodontics yet are included in our Complimentary Orthodontics Guidance Program and checked periodically to monitor the growth and development of the teeth and jaws (usually every 6 months) , and to determine the best strategy and timing to start any recommended orthodontic care. It is never too late to get straight! 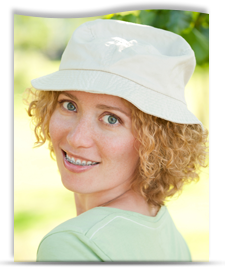 Orthodontic treatment is not just for teens. 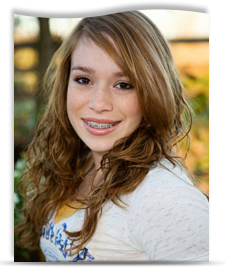 In fact, the American Association of Orthodontists cites that one in five orthodontic patients is over the age of 21. Many adults are choosing to receive treatment because they understand the importance of maintaining their health, and they want to feel better about their appearance. Adults everywhere are taking advantage of the opportunity to receive orthodontic care, and now you can too.